05-27-2018 What to do if you find a falcon on the ground! Our young endangered Peregrine Falcons that reside on the Fifth Third Bank building will soon be learning to fly. It will not be unusual to find one that has made it to the ground but now needs our help because it does not yet have the skill to fly back up. Young falcons are crow-sized, have brown stripes on the chest, and have bands on both legs. See www.KalamazooFalcons.com for photos and info. 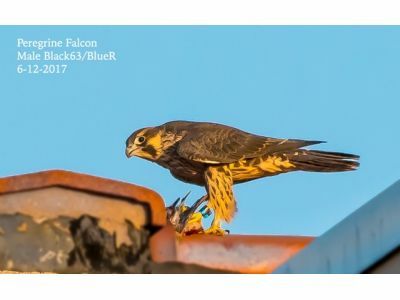 The Michigan Department of Natural Resources (DNR) has provided instructions on what to do if you find a falcon on the ground.